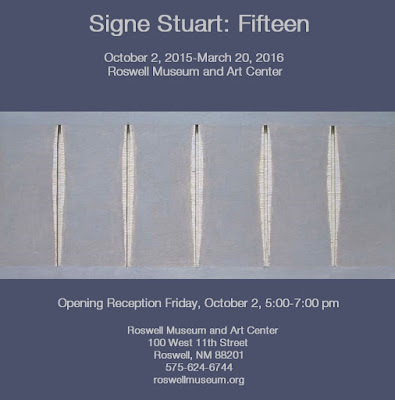 Signe's exhibition, "Fifteen," opened at the Roswell Museum and Art Center on Friday, October 2nd, and we went down to attend. 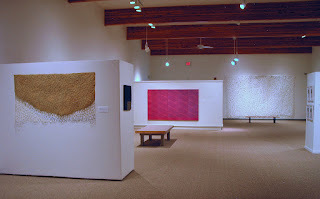 The show is beautifully curated to display her sensibility and attention to materials, which have remained constant over more than five decades. There's a fine catalogue with an essay by curator Sara Woodbury to accompany the show, which will be up until March 20th. Go see it! 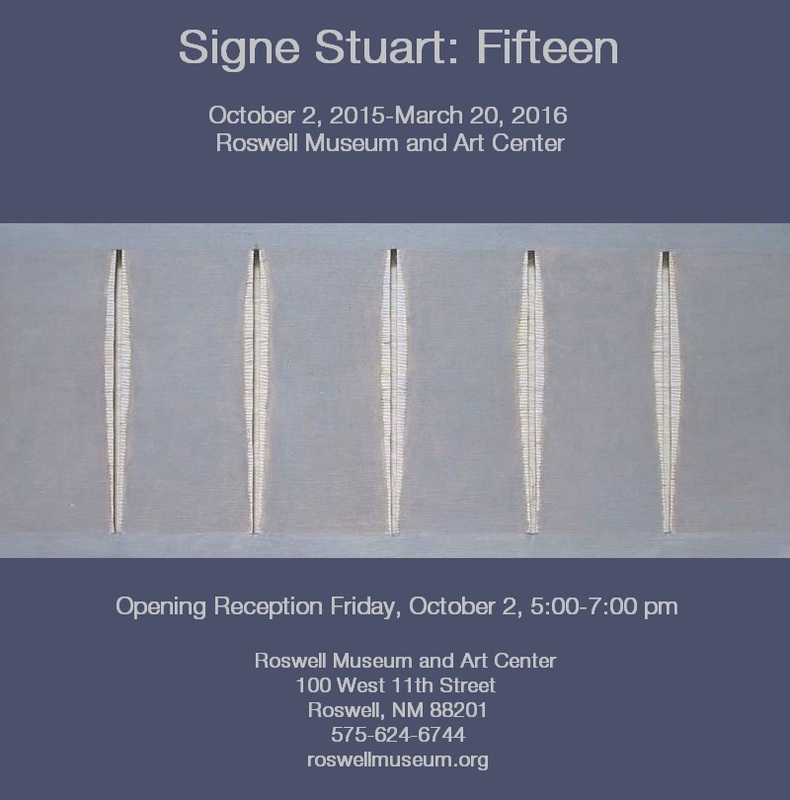 Signe will be honored with a career retrospective at the Roswell Museum. We are excited for her and of course all of us will drive down for the opening. Signe has been making art for a lifetime, and in the 20 years I've personally known her, has gone though several changes as she continually searches through new visual territory. 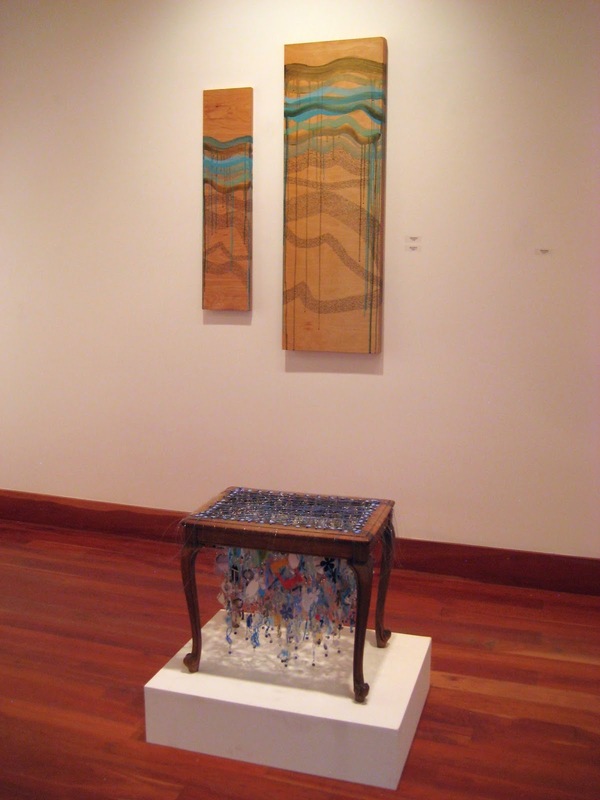 She has experimented with materials from sewn canvas to plastic food trays, created small wall pieces and room-sized installations, and always kept her vision clear and uncompromised. Please join us, join her, for what promises to be a fascinating and beautiful show. There is still time to see Lady Minimalist Jill Christian's paintings in the Art on the Edge exhibit at the New Mexico Museum of Art. 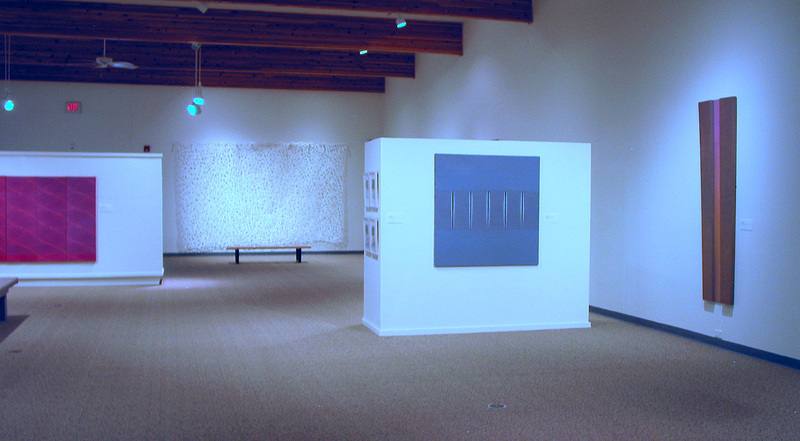 The show, which runs through August 16th, features the work of seven regional artists selected by Nora Burnett Abrams, Associate Curator at the Denver Museum of Contemporary Art. 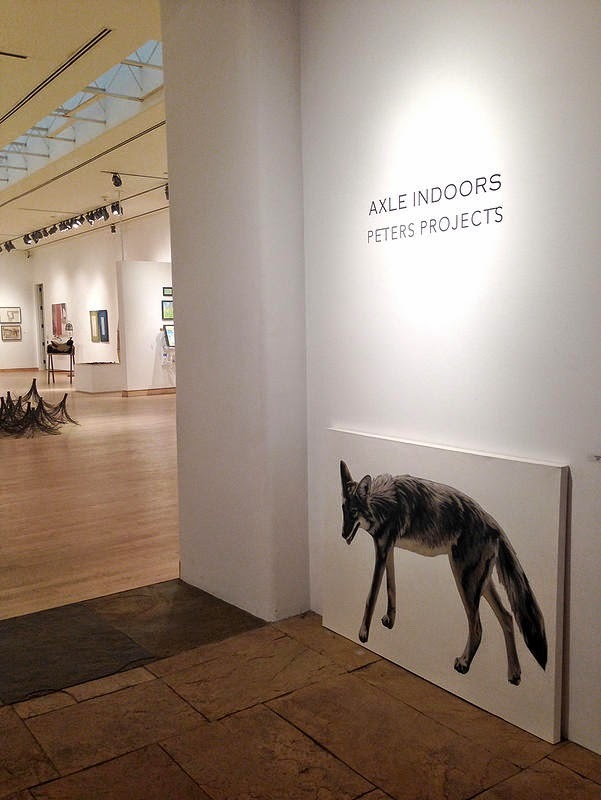 Our exhibit is up in the elegant SMINK gallery/design showroom on Dragon Street. 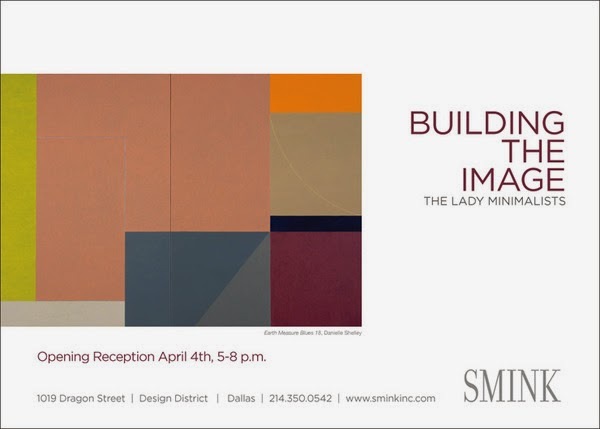 We're thrilled to be showing in Dallas and hope that if you are in the area, you will come by and see our work on view. Or head over to sminkinc.com to see images. All six Lady Minimalists were on hand for the opening reception. We spent a busy few days visiting museums in Dallas and Fort Worth and being wined and dined by the ever-generous Smink sisters. Our palettes, both oral and visual, are delightfully sated as we head back to our individual studios. Thank-you Jennifer, Autumn and Dawn!